The Order of Carol I (Romanian: Ordinul Carol I) was the highest ranking of the Romanian honours of the Kingdom of Romania until the abolition of the monarchy in 1947. It was instituted on 10 May 1909 by King Carol I to celebrate the Ruby Jubilee of 40 years of his reign. 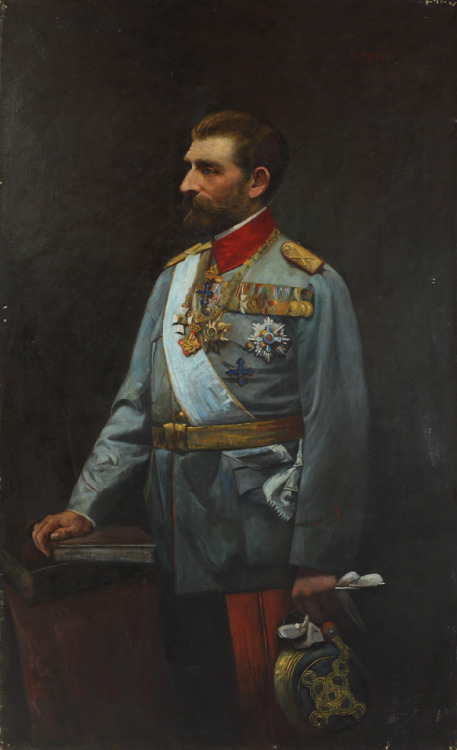 During its time as a national order, it was widely used to reward members of the Romanian royal family, Romanian Prime Ministers, Romanian politicians, foreign monarchs and heads of state, selected consorts and heirs, and other people thought to be worthy of receiving the order by the King of the Romanians. It is currently a dynastic order of the former Romanian royal family. 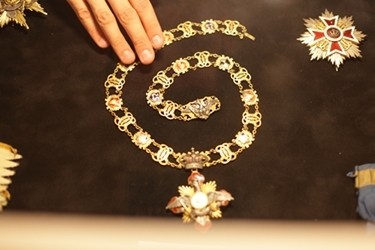 It is the highest-ranking award among all the decorations of the Romanian Royal House and is administered by its head. 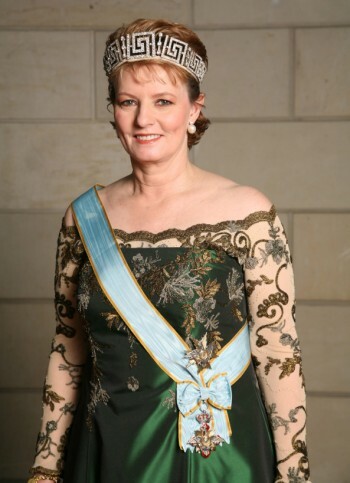 There are currently no foreign knights or dames of the order, except for members of the Romanian royal family. 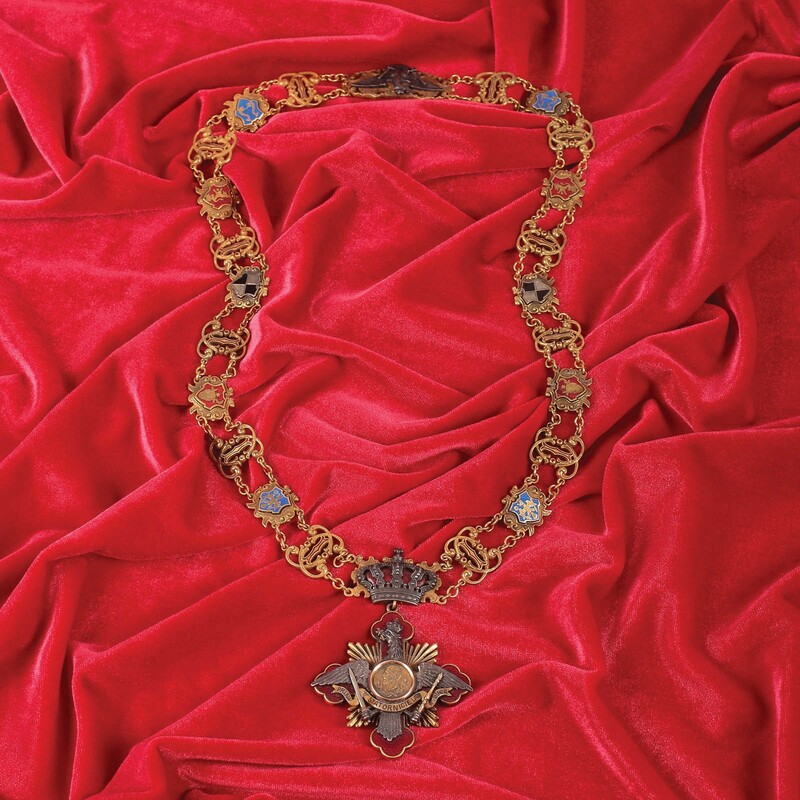 The Collar is in Gold and consists of 8 links of the emblems of the Danubian Principalities of The: Principality of Wallachia, Principality of Moldavia, Principality of Oltenia and Principality of Dobruja, 4 emblems on either side of the collar with 2 of the emblems of the House of Hohenzollern between each two Principalities; between each emblem is the monogram of King Carol I. At the back of the collar is the lock which is an Eagle with open wings which suspends in half to wear. At the front of the collar is the Steel Crown of Romania which the badge of the order suspends from. The Badge is the Romanian Eagle on top of a square Gold sunray on top of a Red Maltese cross. 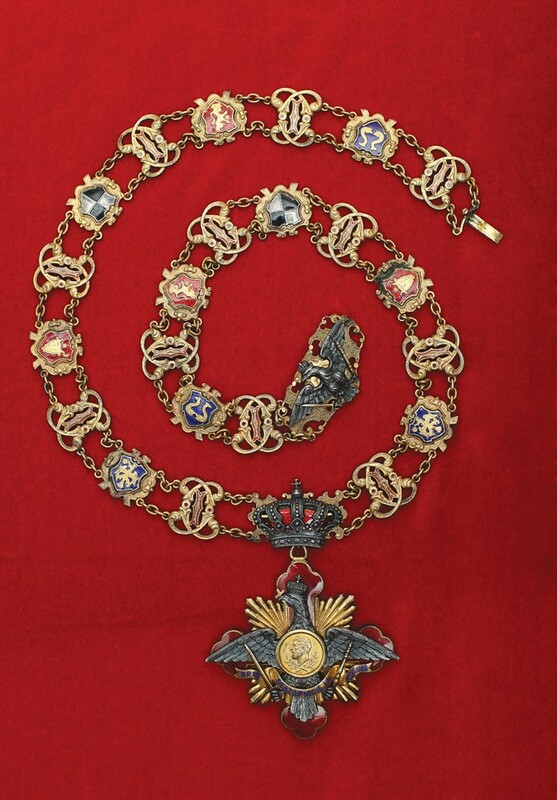 The Eagle wears the Crown of Romania, holds the Orthodox cross in its beak, holds the Sword of King Carol I in its left claw, holds the Royal Mantle in its right claw and supports the ribbon inscribed "PRIN STATORNICIE LA IZBÂNDĂ" by both its claws whilst on its chest is a small Gold effigy of King Carol I. On the obverse is the Red Maltese cross on top of the Gold sunray, in the middle of the Maltese Cross is a small Gold monogram of King Carol I. The Badge is featured on: The Collar, The Sash, The Medal and The Necklet. There are two types of stars of the order: 1st which is for the Grand Cross with Collar/Grand Cross and the 2nd which is for the Grand Officer; both are to worn on the left stomach. The 1st Star is in Gold which is 8-pointed, set in sunray's and is similar in shape of the Swedish Royal Order of the Seraphim; the Eagle which is on the Badge is on top of the star and set in Silver. The 2nd Star is also in Gold and also in sunray's, it is set in a Rhombus shape and is similar in shape of the Dutch Order of the Crown; the Eagle which is on the Badge is on top of the star and set in Gold. The Sash is pale Blue with Gold edges bearing a narrow Red stripe; at the bottom of the sash is a bow which joins both sides together and where the badge hangs from; It is worn from the right shoulder. ^ "ODM of Romania: Order of Carol I". medals.org.uk. Retrieved 2015-09-06. ^ "Cancelaria Ordinelor". canord.presidency.ro. Retrieved 2015-09-06. ^ "Image: 137_1_6.jpg, (696 × 1000 px)". s3-eu-west-1.amazonaws.com. Retrieved 2015-09-06. ^ "Image: ordin-licitatie.jpg, (375 × 250 px)". lh3.googleusercontent.com. Retrieved 2015-09-06. ^ "Image: 168_20.jpg, (1600 × 1600 px)". s3-eu-west-1.amazonaws.com. Retrieved 2015-09-06. ^ "Image: Order_of_Carol_I.jpg". commons.m.wikimedia.org. Retrieved 2015-09-06. ^ "Image: 540105m.jpg, (280 × 135 px)". sixbid.com. Retrieved 2015-09-06. ^ "Image: 112b.jpg, (711 × 1162 px)". coins.rotop.biz. Retrieved 2015-09-06. ^ "Image: 6015944_1.jpg, (500 × 500 px)". media.liveauctiongroup.net. Retrieved 2015-09-06. ^ "Image: Order-of-Carol-I-2.jpg, (402 × 455 px)". paulfrasercollectibles.com. Retrieved 2015-09-06. ^ "Image: carol_i_of_romania_by_rostariu-d8d6fsl.jpg, (1024 × 1680 px)". fc04.deviantart.net. Retrieved 2015-09-06. 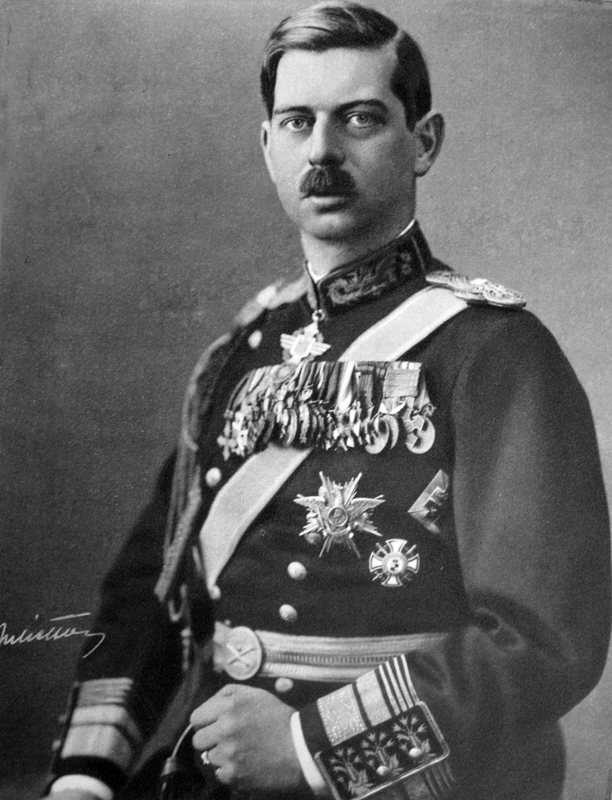 ^ "Carol, the first King of Romania". robinsonlibrary.com. Retrieved 2015-09-06. ^ "Image: Ferdinand-I.jpg, (947 × 1217 px)". only-romania.com. Retrieved 2015-09-06. ^ "Image: tumblr_nl4mpcvhsR1s2cjiro1_500.jpg, (457 × 750 px)". 41.media.tumblr.com. Retrieved 2015-09-06. 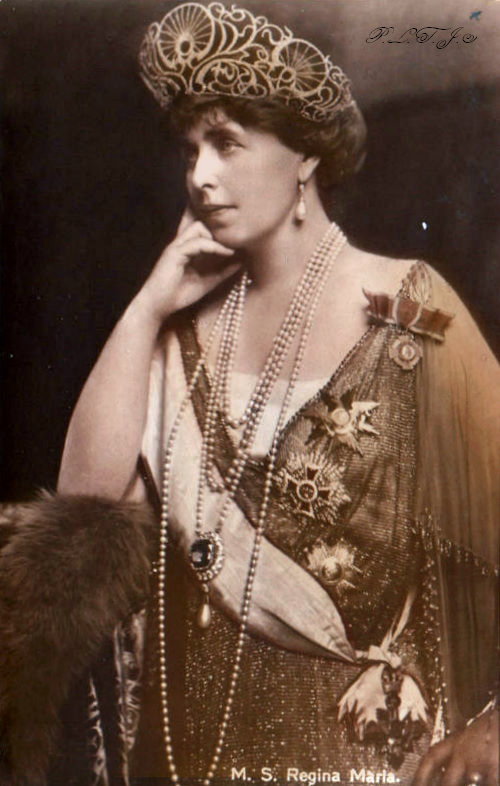 ^ "Image: queen_marie_of_romania_by_otmaafan91-d4xefmr.jpg, (500 × 786 px)". fc02.deviantart.net. Retrieved 2015-09-06. ^ "Regina Maria catre printul Carol si capetele incoronate au slabiciuni | Romania Libera". romanialibera.ro. Retrieved 2015-09-06. ^ "Image: 00d9645ffed8e3097d49a2a8f5ebc9c5.jpg, (689 × 900 px)". 1.bp.blogspot.com. Retrieved 2015-09-06. ^ "Image: 347fd8e11c9186761e6db7777d7a4a20.jpg, (736 × 1188 px)". s-media-cache-ak0.pinimg.com. Retrieved 2015-09-06. 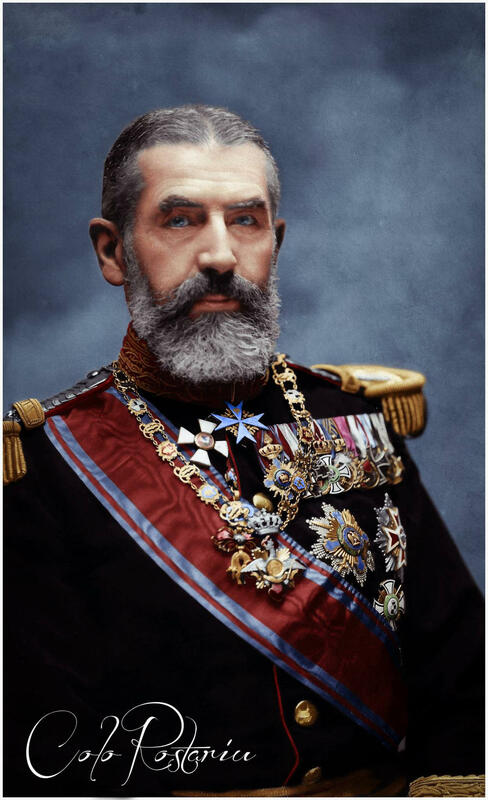 ^ "National Portrait Gallery - Large Image - NPG x121560; Prince Nicholas of Romania". npg.org.uk. Retrieved 2015-09-06. ^ "Image: YooniqImages_102123622.jpg, (297 × 416 px)". yooniqimages.blob.core.windows.net. Retrieved 2015-09-06. ^ "Image: regele-mihai.jpg, (960 × 1280 px) – Regele Mihai". ecomareaneagra.files.wordpress.com. 2014-03-10. Retrieved 2015-09-06. 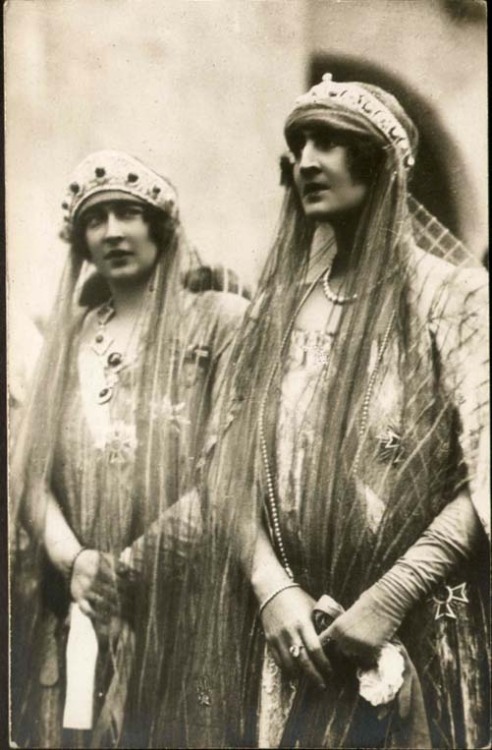 ^ "Queen Anne of Romania and Princess Lilian of Belgium followed by King... News Photo | Getty Images". gettyimages.co.uk. Retrieved 2015-09-06. ^ "Principesa Mostenitoare si Principele Radu, Castelul Peles, 25 martie 2015, ©Daniel Angelescu, Casa Majestatii Sale Regelui | Familia Regală a României / Royal Family of Romania". romaniaregala.ro. Retrieved 2015-09-06. ^ "Image: margareta-350x483.jpg, (350 × 483 px)". informatia-zilei.ro. Retrieved 2015-09-06. ^ "Image: 250px-Președintele_Consiliului_de_Miniștri_George_Manu.jpg, (250 × 354 px)". upload.wikimedia.org. Retrieved 2015-09-06. ^ "Image: gheorghe-grigore-cantacuzino-nababul.jpg, (400 × 519 px)". calatorim.ro. Retrieved 2015-09-06. ^ "Image: 37F09.jpg, (1000 × 645 px)". fototecaortodoxiei.ro. Retrieved 2015-09-06. ^ "Image: albania-Zog-I.jpg, (300 × 530 px)". alearned.com. Retrieved 2015-09-06. ^ "Demnitari în cortegiul funerar | Fototeca Ortodoxiei Românești". fototecaortodoxiei.ro. Retrieved 2015-09-06. ^ "Image: cd5b66243ddf8ba731f88929d37908dc.jpg, (236 × 170 px)". s-media-cache-ak0.pinimg.com. Retrieved 2015-09-06. ^ "Egypt13". royalark.net. Retrieved 2015-09-06. ^ "Egypt". royalark.net. Retrieved 2015-09-06. ^ "Orders and Medals of the Mus?e National de la L?gion d'Honneur - France - Gentleman's Military Interest Club". gmic.co.uk. Retrieved 2015-09-06. ^ "Image: 01-Romania-in-Primul-Razboi-Mondial.jpg, (800 × 575 px) – Kaiserul Wilhelm al II lea şi prinţul moştenitor Ferdinand al României la Berlin. Începând din 1893, România a avut un tratat de alianţă cu Puterile Centrale, Germania şi Austro-Ungaria, tratat la care a renunţat în 1916 când a intrat în Primul Război Mondial de Partea Antantei". george-damian.ro. Retrieved 2015-09-06. 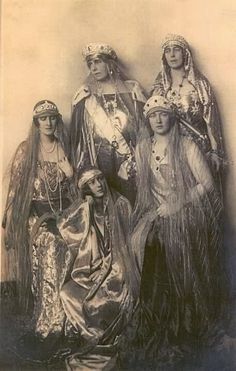 ^ "Greek Royals | Unofficial Royalty". Archived from the original on 2013-08-02. Retrieved 2015-09-06. ^ "Image: 1890 George-08.JPG, (350 × 484 px)". royaltyguide.nl. Retrieved 2015-09-06. ^ a b "Image: eb43a1579437294e97ac66dcaeca78af.jpg, (423 × 538 px)". s-media-cache-ak0.pinimg.com. Retrieved 2015-09-06. ^ "Antique Photos - Antique Photos". antique-photos.com. Retrieved 2015-09-06. 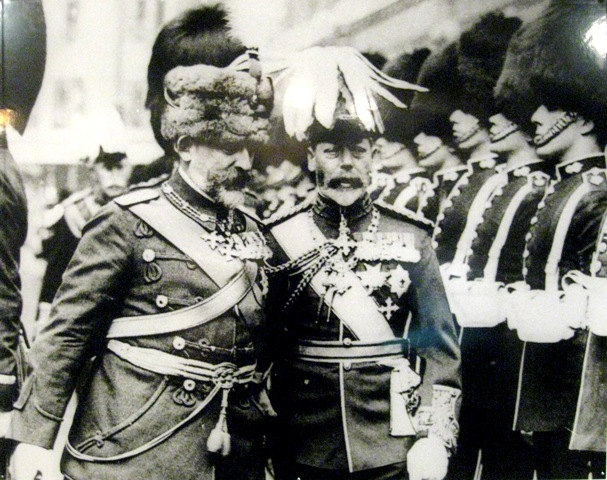 ^ "Image: King-Ferdinand-of-Romania-and-King-George-V-London-1924.jpg, (607 × 480 px)". romaniaregala.ro. 2010-03-18. Retrieved 2015-09-06. ^ "Passenger List, White Star Line, Republic, 14 August 1907". gjenvick.com. Retrieved 2015-09-06. ^ "ROYALBLOG.NL: Ridders bij opening Ridders-expositie". gpdhome.typepad.com. Retrieved 2015-09-06. ^ "The Royal House of Norway - The Decorations of King Haakon". royalcourt.no. Retrieved 2015-09-06. ^ "Image: carol-i-nicholas-ii.jpg, (500 × 315 px)". royalromania.files.wordpress.com. Retrieved 2015-09-06. ^ "Image: 2014-0320-alexandermignon.jpg, (500 × 300 px)". 2.bp.blogspot.com. Retrieved 2015-09-06. 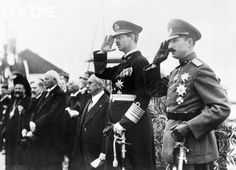 ^ a b "circa 1923, HRH, The Duke of York pictured with King Alexander of... News Photo | Getty Images". gettyimages.co.uk. Retrieved 2015-09-06. 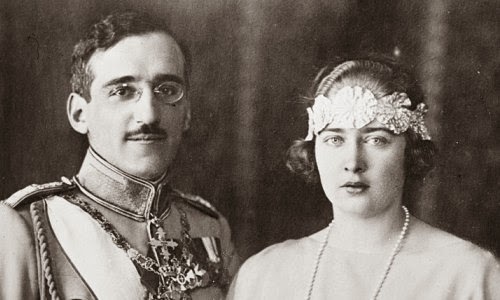 ^ "Principesa Moştenitoare Margareta şi Principele Radu, la..." romaniatv.net. Retrieved 2015-09-06. ^ "Banca Naţională a României - Theodor Rosetti". bnr.ro. Retrieved 2015-09-06. ^ "Image: afis-averescu-cu-date.JPG, (367 × 519 px)". bibnat.ro. Retrieved 2015-09-06. ^ "Image: 3801_0_1.jpg, (370 × 278 px)". icr.ro. Retrieved 2015-09-06. ^ "Image: FI109712F14.jpg, (644 × 1000 px)". fototecaortodoxiei.ro. Retrieved 2015-09-06. ^ "Image: Prezan-Constantin.jpg, (400 × 519 px)". 4.bp.blogspot.com. Retrieved 2015-09-06. ^ a b c "Flickr". m.flickr.com. Retrieved 2015-09-06. ^ "Egypt11". royalark.net. Retrieved 2015-09-06. ^ "Duke Georg Alexander | House of Mecklenburg-Strelitz". mecklenburg-strelitz.org. Retrieved 2015-09-06. 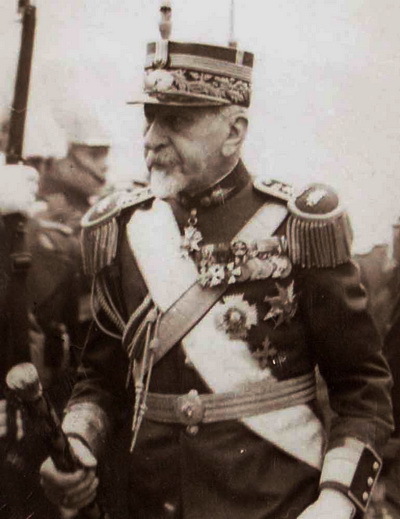 ^ "Umberto II : Who, What, Where, When". servinghistory.com. Retrieved 2015-09-06. ^ "Marshal Pilsudski, the Polish Dictator, leaving the Royal Palace in... News Photo | Getty Images". gettyimages.co.uk. Retrieved 2015-09-06. ^ "Image: queen-maria_2548287b.jpg, (620 × 387 px)". i.telegraph.co.uk. Retrieved 2015-09-06. 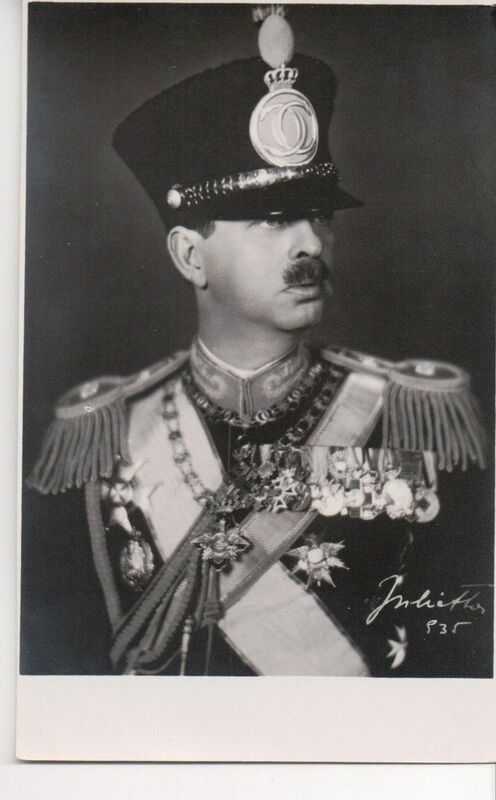 ^ "Prince Arsen of Yugoslavia, uncle of the King. News Photo | Getty Images". gettyimages.co.uk. Retrieved 2015-09-06. ^ "Image: 4464713ea9975ab0a7732ce3564af1b1.jpg, (236 × 371 px)". s-media-cache-ak0.pinimg.com. Retrieved 2015-09-06. ^ "Image: tumblr_lqk6xi4Bua1qfna0vo1_500.jpg, (492 × 750 px)". 40.media.tumblr.com. Retrieved 2015-09-06. ^ "Princess Ileana of Romania / Ladies' Home Journal - December 1951". tkinter.smig.net. Archived from the original on 2015-11-25. Retrieved 2015-09-06. 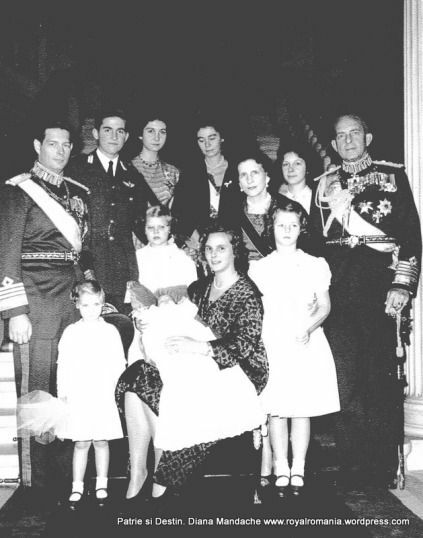 ^ "A patra zi a Jubileului 90 | Familia Regală a României / Royal Family of Romania". romaniaregala.ro. Retrieved 2015-09-06. ^ "WorldWar2.ro Forum -> Pre - WW2 Headdress". worldwar2.ro. Retrieved 2015-09-06.